ApplePi-Baker, the application I developed for Mac OS X user that like to work with the Raspberry Pi, is now available in version 1.6. 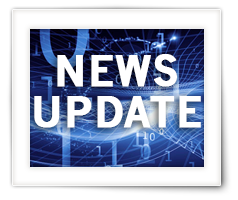 This new version adds on the fly reading (restore) and writing (backup) of compressed IMG files. Supported compression formats are ZIP, 7ZIP and GZIP. Additionally, I’ve implemented an “Abort” button, so you can abort your restore or backup process when needed. Unfortunately, doing compression while reading/writing prevents me from using the authentication dialog provided by Apple, and I had to resort to SUDO usage. On all my Mac’s this did not present a problem, but you, the user, need to be part of the Admin user group for this to work. I’m unsure if this is done by default or not. If users run into issues with this, please report it in the comments (here on the ApplePi-Baker article). For this reason v1.5.1 will remain available in the downloads – for those users that run into a problem. Also: many many thanks to the people that did a generous donation to support my work, it’s highly appreciated! There are 76 comments. You can read them below. Thanks for keeping improving this program! SUDO does not work on my iMac 10.6.8. I haven’t tried it on my MBP yet but I can say even after enabling root and changing password numerous times, the app always says I have the password wrong. Oh that’s interesting … Good info … I’d expect it to fail on newer OS X versions, but not on older ones. For some reason it won’t recognize my admin password. I’ve used sudo in terminal before without a problem, so am a bit confused by this. I verified admin privileges and have been Googling for an answer. No luck. It should be the same password you use for SUDO on the command line (terminal). That’s exactly what AppelPi-Baker will do in the background: open a terminal and issue a “sudo” statement, followed by the password you provided. When does it give you an error message? Right at the beginning? The Sudo (Admin) password you entered is either incorrect or you do not have Sudo access rights. Please try again, or click Cancel to exit. v1.5 should work better. I will try to find a work-around so that the method I’ve used in 1.5 can be used with compression as well. Thank you for this wonderful tool. I’ve just updated to ver 1.6 and as always it works flawlessly. Thanks for the feedback – without good feedback I can’t improve after all . As soon as I’m home again, I’ll start working on a complete revamp. You’re the 2nd person mentioning issues with compression. I’ll try to find what might cause this. are you by chance running MacOS X 10.10 (Yosemite)? If you made a backup with compression, for v1.5.1 you’ll need to decompress the file first to get the IMG file. Zip files result in a funny file name, simply rename it to bakcup.img. I’m using 10.8.5 and the backup file is an .img file. Anyway, I will try some other solution to restore the backup. Thanks for your quick reply! Restoring an IMG does take quite a bit of time, I recall 10+ minutes and even worse … but I assume you’ve already tried waiting longer. Sorry to hear you’re running into issues. – Do you have any program running that might access the SD card (ie. AntiVirus, Cleanup tools, etc)? – Have you tested a different SD card? 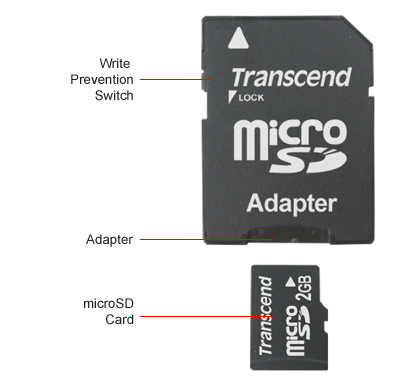 – In case of a micro SD; have you tried a different micro SD to SD card adapter? is it possible to restore multiple USB/SD drives simultaneously? Currently the USB/SD listbox is single-select … I was hoping that I could multi-select a bunch of target drives and flash them all with the same image…. However, at the moment, “dd” is being used in the background, and I’m not sure yet if I can make it in such a way that multiple threads can run simultaneously. I could consider doing it sequentially though … but I’m not sure how much time you’d win with that. On the other hand, the current limitations of the security system Apple put in place has a higher priority. It seems that the method used in v1.6 causes issues with some users, so I will have to revert back to the method I’ve used in v1.5x. This comes with complications when using compressed backups and will take quite some time to “fix” this situation. I will however take in consideration to look at flashing multiple devices, either in parallel or sequential. also, a checkbox for ‘auto eject when finished’ would be nice too..
interesting – I had not seen one of those little guys before. Yes I could create multiple processes in parallel, tracking progress might need som thinking, but is not impossible. What is a problem right now however is the security options, or rather limitations, when using DD and compressed archives when piping. That problem is something I’d like to fix first and then see if I can create a way to write multiple devices in parallel. i’m using 16GB SD cards but the raspian img file is only ~ 4GB .. so it flashes pretty quickly. this is caused by a “limitation” of “dd”. DD images the entire disk, even when only 4Gb is written on a 16Gb SD card or USB drive. In a future version, I’m planning to look into methods to preserve the smaller size and/or even resize existing partitions. However, this is substantially more complicated than just making an image of a disk. Maybe you could expose the -bs and -count params for dd in the UI as ‘advanced params’ or something ? That’s … ehm weird. Did you install something, or upgrade OS X,…? Which version of Apple-Pi Baker are you using? 1.51 or 1.6? As for the Contact Us form – I’ve done that intentionally. I do not have time to answer all personal emails, and I’d prefer questions in the Comment section so it benefit others, or so others can reply as well. Sorry …. Thank you very very much for the ApplePi-Baker. Format battles can destroy any development project or worse cripple into a never ending money losing hobby. My guys use Windows (all engineers use Windows) ;-). Apple products are not logical. Sorry for the dialog, just wanted you to know I really appreciate your software. One quick question: We’re ready for mass production. Do you know of any obvious problems using ApplePi-Baker to mass produce a disk image of a RPI B+, SDmicro class 10, Wifi Dongle, classic iot stuff. WAP, Client. (Seem to have issues running 50 RPI’s with the same image on the same Commercial Grade wireless router WLAN. I’m the non-engineer front of house business dude. I have a gifted Java Coder and an amazing hardware guy but this question is sort of in the middle (i think). Forgive me if my question seems trivial. Thought I’d ask an expert. Apple-Pi Baker should not cause you any problems – just make sure the image is not larger than the capacity of your SD-cards. As for hooking up 50 RPI’s on a WLAN, I can imagine (even with commercial grade routers) that this might be a bit much in terms of radio traffic. But I’m sure your hardware guy will know and understand the limitations of your WLAN. GREAT WORK, thank you so much for this!! Thanks Felix for taking the effort to post a “Thanks!” – it’s much appreciated! Thank you for creating Apple Pi Baker. I have a request for a small change. I find it rather strange that when entering my password in the “Admin Password” dialogue, it actually shows the characters I enter. (And yes, I do tend to forget to uncheck the checkbox ;-) ) I’m pretty sure best practice would be hiding the password by default. The option to show your password is just fine if people have a complex password which is error prone. Could you please change the default setting in this dialogue so that you password is not visible? The idea will be: default password not visible, and remember your setting for next time. This way the password by default is not visible and when a user prefers to have the password visible, it will be set to visible the next time they start ApplePi-Baker. I have a 16GB SanDisk, MS-DOS (FAT16), but I’m on a Mac and it says Read Only! I have a feeling that this Read only issue might be why Pi-Baker can never proceed or make an ETA. Could you help me work past this so I can finish uploading Raspbian? Thanks again so much for the work you do! What you are seeing commonly happens when an SD card is “locked” – I know with my micro-SD card adapter, this happens almost every single time I use it, since the latch “touches” the side of the SD card slot of my MacBook Pro. When that happens, ApplePi-Baker seems to start but then get’s stuck. Love the program, However the comment above about hanging up after unmounting the image seems to hold true for OS X 10.10.3 It worked flawlessly prior to the .3 release of OS X, Now it just hangs.Even loading the 1.5 version doesn’t help. it starts by reformatting and then claims the “pi is finished” in about 5 seconds or less. I think the problem is the latest version of Yosemite. Thanks Barry for reporting this issue. I have been using ApplePi-Baker under 10.10.3 and 10.10.4, and as far as I recall the only “issue” I’ve ran into is that the SD card is locked and keeps “writing” for eternity. I will try to find an SD today or tomorrow and try it again to test again. It might take a few days, since all my stuff is in a shipping container, on it’s way to Europe from the US, so I’ll have to see if a friend has an SD card laying around to test. I had not thought about that – good point. I use Blue Harvest for the same purpose (well, to prevent specific Mac files to be written to external drives or network shares) which does not seem to be bothered by that. I’ve added USB support so one can use other USB adapters – I just received an adapter for microSD, but have yet to test this scenario. Any progress …. the only thing that seems to work is format for NOOBS…. I’ve tested 1.6 and 1.5 with Yosemite 10.10.3, 10.10.4 beta and 10.10.4 final, and it just works. I’ve tested it with the internal SD Card reader of my MacBook Pro (microSD w/adapter) and with a microSD USB adapter. So … I cannot reproduce your problem. Are you able to temporary disable tools like CleanMyDrive? Do you have other tools running that might access the drive (ie. AntiVirus or something like that)? Try ApplePi-Baker again … now it works. Do you have any other utilities running (like “CleanMyDrive”) that might interfere? I’ve tested both 1.5 and 1.6 under 10.10.3 and 10.10.4 and it works just fine – the only thing I have observed so far is the annoying little latch of my microSD adapter that keeps locking, and Barry’s situation with “CleanMyDrive”. In the next version I’ll try and see if I can build in some log mechanism so we can track/debug better. I’m having exactly the same problems on rMBP with 10.10.4 currently. Everything was fine before 10.10.3, then after that .3 update I would have to restart. Now with the .4 update I can’t get it to work at all, tried USB adaptor, several SD adaptors. None seem to work. Checked and the adaptors slides are in unlocked position. I am not sure, I normally just remove clean my drive just before I try to write an SD card. Will go with your solution for now. Maybe we need to let them know that there is a problem. They may be taking exclusive use of the drive which keeps you from mounting it after you do the unmount. A very long time ago we did this while hacking on a Then Univac now Unisys 1106/1108/1110 to the Async Ports to keep everyone including Exec8/Exec10 from getting the Async Ports. It was a harmless “April Fool” joke, but the concept is the same. Thanks again Hans for the effort to help, and the extremely fine software you have created. Yeah, it might be a good idea to notify the guys of CleanMyDrive … do you have access to their support? If not, then I could see what I can find and contact them, see what they can tell me. Glad you like the application and I’m truly sorry that you have this little hurdle with CleanMyDrive – like I said, I’m using BlueHarvest and that does not seem to cause any issues. I deleted Clean My Drive off the system entirely, and still having problems… There must be something about 10.10.4 that seems to interfere with the dd process. When I use dd from the console, It works flawlessly. Perhaps the problem might be in the way you get access to write. Apple has been tightening up security, so you may have to set root mode on a more permanent basis. When I do it I usually do a “sudo bash” and that keeps me in root mode for a long time. Maybe when you fork to dd, you lose the admin privileges. Just a thought, not exactly sure what you are doing to maintain admin rights. thank you for the suggestions. Right now I start a separate process which calls sudo and pushes the password through standard input to sudo. I’ve tested ApplePi-Baker now on 4 Mac’s with 10.10.4 and it works just fine on all of them, and I could reproduce your problem by having CleanMyDrive installed. Could you try making a new account on your Mac (additional) and test it there? Just to see if something else is running (which might not be running with the new account)? I’ll have to build a version that logs what happens in the background – but I’m in the middle moving from the US to Europe which gives me limited time to do so. Not sure what is interfering…. On my Desktop a 2012 MacMin it fails but my MBPr it runs just fine. not sure what the problem is. Removed Clean my Drive (also sent a note to support) and shut down most of the background programs on the Desktop and still no joy…. Is your other Mac also running 10.10.4? since I run OS X El Capitan Version 10.11 Beta (15A215h) no SD Cards are listed by PiBaker any more. It would be great if you could investigate this. I would love to run in it in a virtual machine and see what’s going one. Does this MacOS X version still have “diskutil” available on the command line (Terminal)? Yes, diskutil is still available, see below. The graphical user interface has changed quite a bit, please check out the screenshot. The images I use are very small, about 15 MB, compared to the size of the SD Cards available today, see here.Since the images are dynamically generated after clicking the download link, there could be as well an issue with the images.Furthermore I tried the graphical version of diskutil (Festplattendienstprogramm) to copy the images to SD Cards, but this did not work either. I got an error message, see this screenshot. Thank you for the extensive info! Looks to me that Apple Pi Baker should run under El Capitan. I assume you tried one of the standard IMG files for the Raspberry Pi as well (NOOBS, Raspbian, etc)? I use the following to determine if something is an SD Card or a USB drive. Could you copy and paste what yours is saying for your SD card. Please mark the line as “Source Code” so I can see if there are minor differences. PiBaker does not list the SD Card. A picture shows more than thousand words. Please take a look at this screenshot which shows the windows of PiBaker, Terminal, diskutil, and the Finder. Could you copy and paste the line from the diskutil output that says “Protocol”? I wonder if there is a minor difference between the diskutil output of 10.10 and El Capitan. Your output looks the same as under 10.10. But I can’t count the spaces and such. Unless you’re willing to wait for me to run El Capitian on my other MacBook Pro. I think I have an idea where the bug might be – I’ll install El Capitan this weekend, and see if I can fix it. Thanks for posting the output. I didn’t get to it. OS X El Captain is now public beta 3, version 10.11 beta (15A234d). There is no change for Applepi-Baker 1.6 mac. I’ve installed El Capitan, and after 2 days of misery with mail on El Capitan (beta 2 fixed it), I’ll give it a try either today or tomorrow. With public beta 1 suddenly all my email got screwed up throughout all my Apple devices and it took me a while to get it to work again. Well, I should say: I had to find out the hard way that I needed to wait for beta 2. Did anyone ever get this to work with el capitan now thats its a public release? Yes, v1.81 works fine with El Capitan – you can download it from the ApplePi-Baker page. If you do run into issue, then please report it so I can see what I can do. How can I backup an SD card? i mean i know theres a bottom for backup but after that, i don’t know which format is better to choose from, Default or IMG backup files? like whats the difference..
IMG is the same as the default, it’s the dialog that automatically adds that option. Using one of the compressed formats is good too – it will keep the filesize down. Of the compressed formats I’d choose either 7Zip or GZip. Due to a limitation Zip, there will be no “real” filename when you uncompress the zip file, instead the file will be named “-” (just a dash, no extension). The IMG file can be used with “dd” (Terminal) and other applications that support the IMG file format as well. I’m trying to restore backup and everything seems fine and it says baking image until the progress bar hits full and then the ETA starts counting negative seconds. Have you come across this issue? Thanks! this used to be a bug in an old version of ApplePi-Baker. Can you download the latest version, just to make sure? This happened because I had used a too small of number datatype, which occasionally went over the max value, which results in an unexpected negative number. Thanks for the reply! In my infinite wisdom I was trying to backup the image while it was still in .gz format. All good now! Thanks again! No worries, glad you did get it resolved though! It will ask for your sudo password, which quite often is the password you use to login to your Mac. If this fails, then there must be an admin account on your Mac and you’d need to use that password or account.